on 19th Street in Denver (adjacent to the South Platte River and not too far from where Coors Field now stands), German immigrant John J. Hasslacher founded Denver Packaging Company. 15 years later, the company transitioned into Industrial Chemicals Corporation with the help of his long-time friend Gary W. Biesemeier. 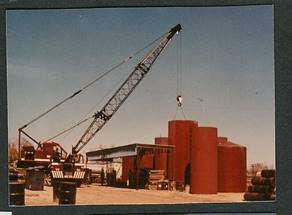 In the early/mid 1950’s, the original plant site was owned by the Denver & Rio Grande Railroad (D&RG) who rented the property to Mr. Hasslacher for $94/month. After many years of collecting rent, D&RG realized that Industrial Chemicals Corporation wasn’t taking any rail shipments and told Hasslacher that his lease would not be renewed. He secured the current site in Arvada, that at the time was still original un-turned native Buffalo Grass. 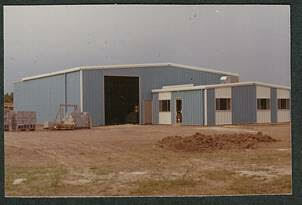 In January 1970 the new facility was opened for business. However being the business man and old-school gentleman that Mr. Hasslacher was, he solely remained behind at the vacant facility for a couple months…. just in case a customer came by. In 1938 Germany, Mr. Hasslacher’s father Jacob Hasslacher (who was 1 of 10 Board of Directors of I.G. Farben Industrie AG) helped found Chemische Werke Hüls, a coal mining company that produced the gasification of coal into chemicals. The companies I.G. Farben Industrie AG invested 74% and Hibernia (a coal mining company) invested 26% in the founding of Hüls. This collaboration was dedicated to the production of the synthetic rubber “Buna” (i.e. ; for tire production), which was in great demand for the German war effort. Without the demand for rubber, there would have been no synthetic rubber; and there would have been no Hüls. 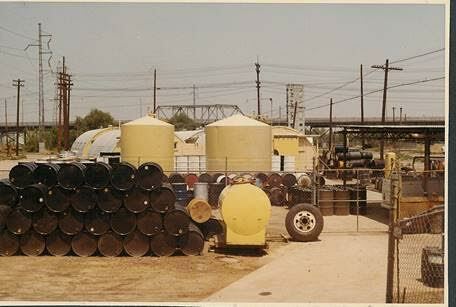 In addition to buna, the company produced chlorine, antifreeze, and other solvents. Jacob Hasslacher also served as 1 of 10 Board of Directors for Deutsche Bank during his career. In March 1945, American troops marched into the factories of Hüls. Months later, the Allied Forces classified Hüls’ product base as a “prohibited industry” and it had to become an independent joint stock company. From this reformation, Bayer www.bayer.com , Hoechst, and BASF www.basf.com were formed. During WWII, Jacob Hasslacher’s son, John J. Hasslacher was serving in the German Army and was captured by American forces. John became a prisoner of war and was ultimately transferred to a POW camp in the Rocky Mountains near Trinidad, Colorado. After WWII ended, John Hasslacher was released as a POW and returned to Germany to complete his education. He later decided he wanted to go back to America and immigrated to the United States. John Hasslacher left Hamburg, Germany aboard the USS American Merchant in 1949 with 3 suitcases, 1 steel box, and a pair of skis. Hasslacher also brought his shares of stock left to him by his father and converted it to cash. Hasslacher became a naturalized citizen and worked in investment banking in New York City for a bit. However longing to be near the mountains, similar to the Alps he had enjoyed in his youth, he moved to Denver and by following in his father’s footsteps…founded another chemical company – Denver Packaging Company. 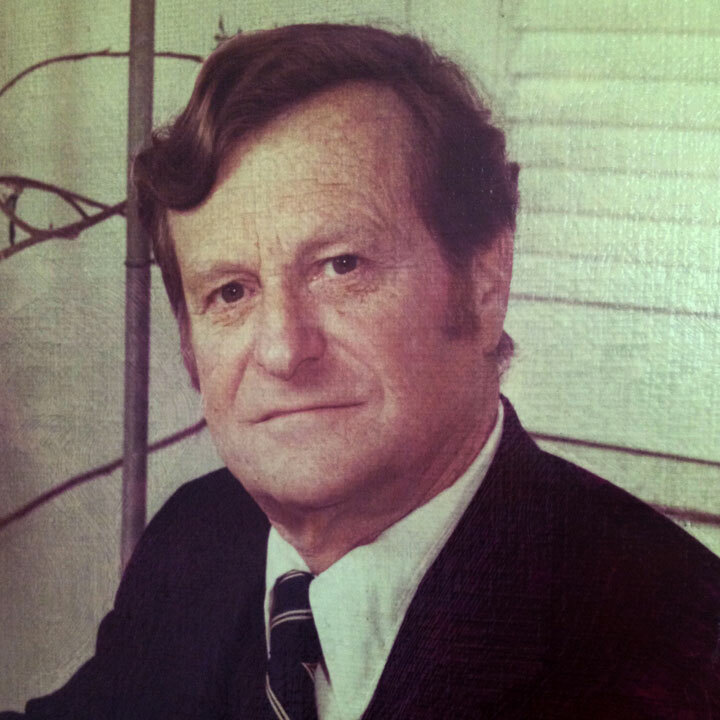 In 1969, Mr. Biesemeier was living in Charleston, SC and was approached by John Hasslacher who told him that he was intending to retire in 1975. 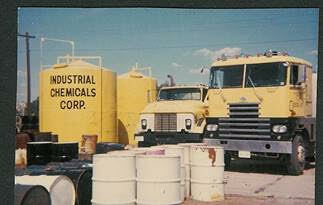 Hasslacher told him that if he came to work with him for 5 years, he’d give him Industrial Chemicals Corporation. Recognizing the opportunity and potential, Mr. Biesemeier graciously accepted the offer and looked forward to moving back to Colorado with his young family. 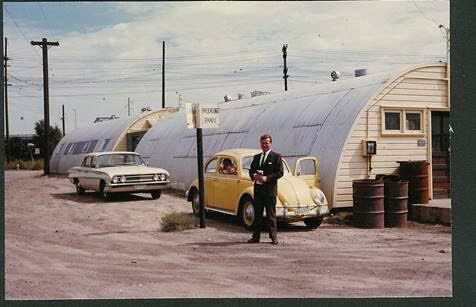 Mr. Biesemeier (affectionately known as Mr. B) came to ICC in 1970. 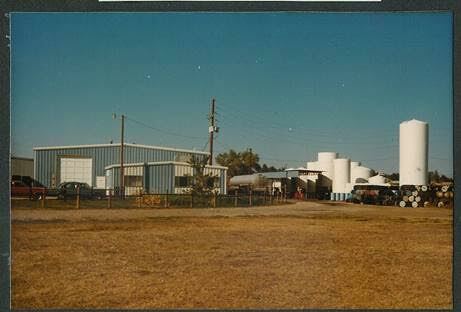 Mr. B. had been employed by Westvaco (a major pulp and paper company) where he was the International Sales Manager of the Poly Chemical Division. Prior to that, he was in sales with Jefferson Chemical (a former joint venture of The Texas Company and American Cyanamid Company) which later became Texaco Chemical Company and then Huntsman Corporation. Mr. B is a Colorado native growing up on the northeastern plains in the farming town of Haxtun. 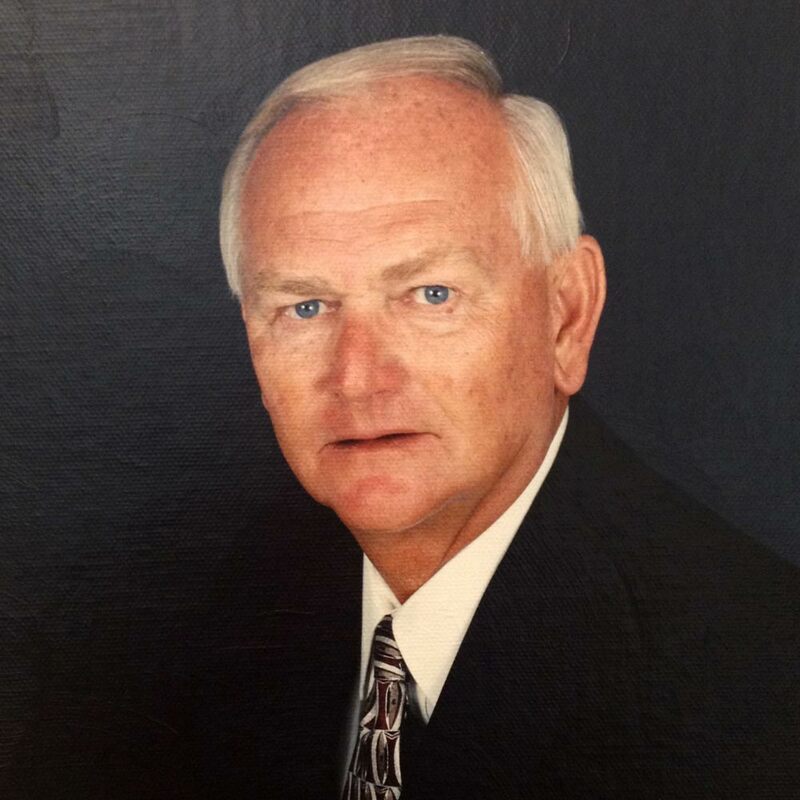 He attended the Colorado School of Mines and graduated from the University of Colorado-Boulder in 1963 with a degree in Chemical Engineering. He served as President of ICC from 1975 to 1995 and still functions as CEO/Chairman of the Board. Mr. Wilson is a Veteran having served in the US Army. He holds degrees in Business Management, Production Management, and Chemistry. After his time with the Army, he worked as a chemical operator at the pilot plant at Amax Extractive Research & Development for several years. 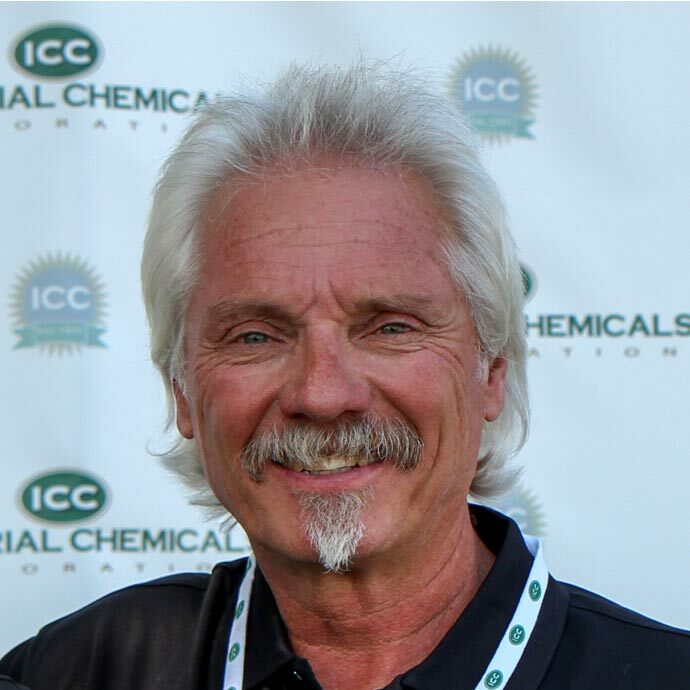 He has been with ICC since 1981 and was hired in the position that covered inventory control. He quickly rose through the ranks from inventory, to sales, to sales manager. He again was promoted to Vice President of Sales & Marketing and then eventually on to Executive Vice President. In 1995, the Board of Directors elected him to President, which is the position he still currently holds. As we now celebrate the first 60 years, there have only been 3 ICC presidents, each serving at least 20 years.